It’s important that visitors to your office, hotel or conference center can navigate your building easily and efficiently. Great signage is the easiest way to ensure that this is the case. Conference room signs are functional and necessary signs, but that doesn’t mean you shouldn’t take the time to make them look great. They are an extension of your company branding and, as they tend to be located in high traffic areas, are going to be seen by a high percentage of your visitors. When you’re looking to create a great meeting room sign, you need to find a partner with a good amount of experience. At Southern Star Signs & Graphics we have been designing and manufacturing great corporate meeting signs for a long time and know what it takes to make a truly great sign. When it comes to conference room signs, the goal is to provide information in a clear and easy to read manner. This likely isn’t the time for wild designs and busy graphics. That said, there’s no reason you can’t be slightly inventive with your color schemes and type fonts. A good meeting room sign needs a bold font that is easy to read and contrasting colors so that they can be seen easily from a distance. Our graphic design team can take examples of your current marketing schemes and incorporate this into your design; we can add your logo to the signs if required too. At the end of the design process, you will have a clear, functional sign that will fit perfectly in your building. 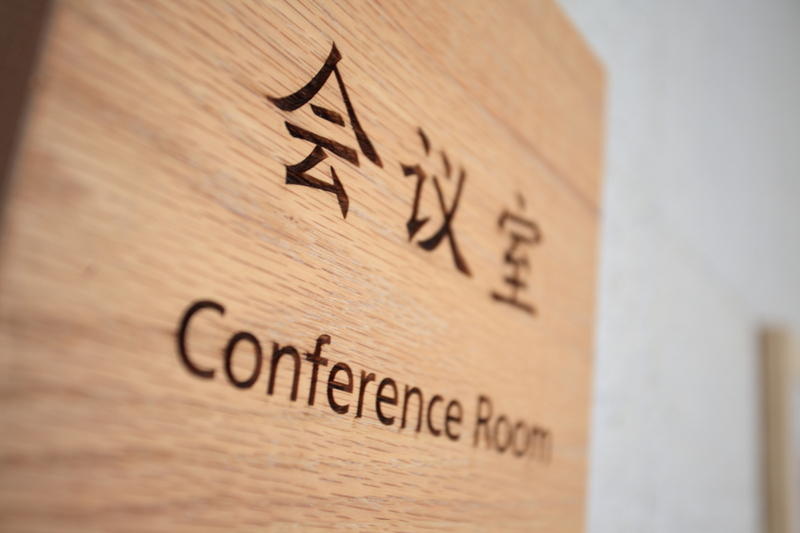 Conference room signs can be constructed out of many different materials to fit the style of your décor. We can show you examples of plastic, wood and metal signs that we have constructed previously. In every case we use the highest possible quality materials and our staff are expertly trained in the various construction methods. 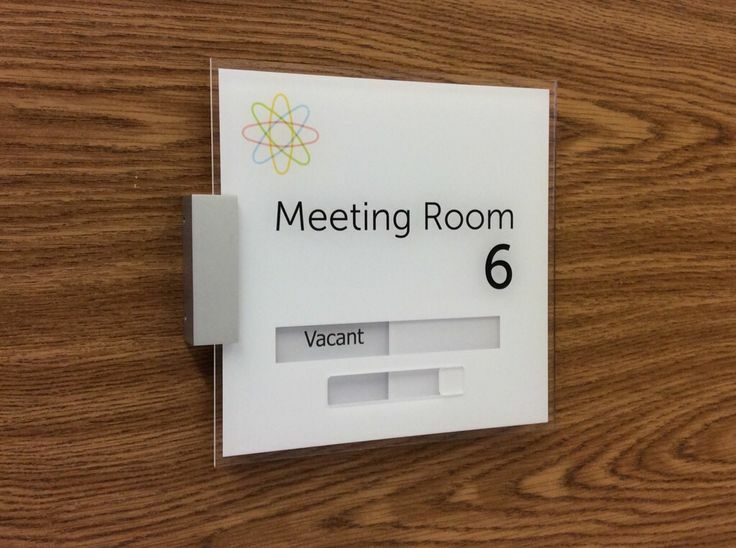 You may require a meeting room sign for either a permanent or temporary placement. We can create signs that are free standing on a pole, or signs that are designed to be fixed to the wall. For temporary signs, we can give you something that will look professional and solid but at a lower cost than a permanent sign. It will certainly look a lot better than a piece of paper tacked to the door. If you are looking to create wall-mounted conference room signs for your entire building then the installation of these could be quite a sizeable job. Southern Star Signs & Graphics have a professional install team who can help. Our team are courteous, well-presented and will get your signs up with the minimum of fuss. We understand that having workmen around your business is not ideal and we will work with you to create a plan that gets your signs up with the minimum of disruption to your daily business. 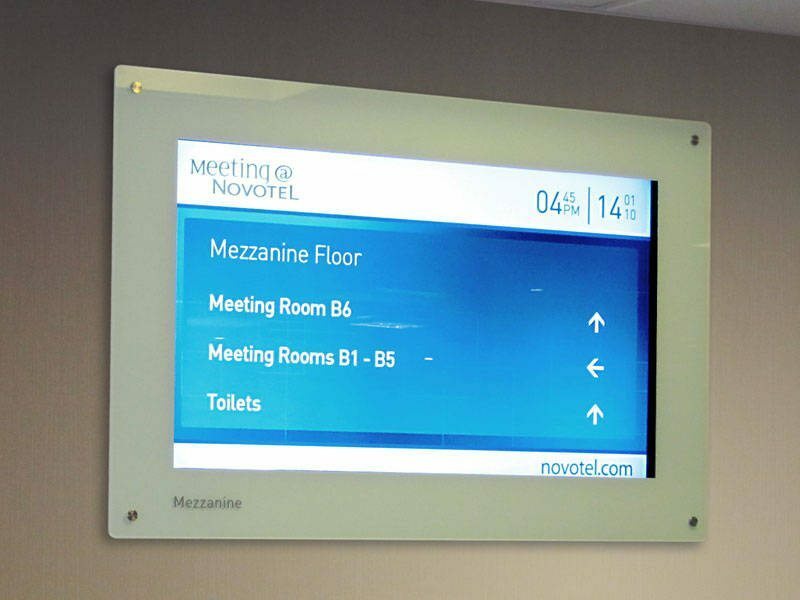 Contact us today for all your meeting room sign requirements.